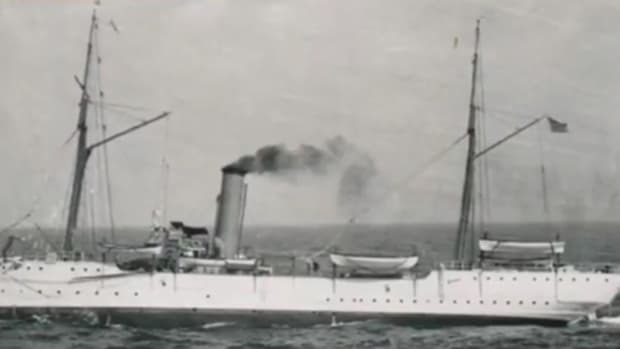 HMS Terror, captained by British explorer Sir John Franklin, has been located at the bottom of Terror Bay in the Canadian territory of Nunavut. 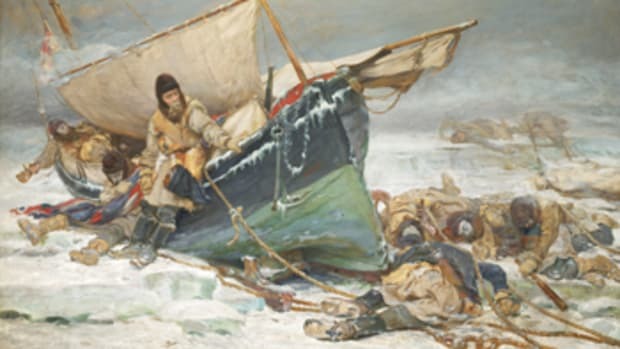 The ship became icebound off King William Island in September 1846 during a three-year expedition to find the Northwest Passage to Asia and sank on an undetermined date. On Sept. 12, a team from the Arctic Research Foundation, a private Canadian charitable foundation that supports long-term sustainability in the Arctic, said it had found the Terror. The wreck is almost 60 miles south of the ship’s last reported location and is about 30 miles from the HMS Erebus, another ship that was part of the expedition and faced a similar fate. The 129 crewmembers of both ships abandoned their vessels and attempted to trek overland to Fort Resolution, an outpost almost 600 miles southwest. The crews did not reach safety, succumbing to exposure, lead poisoning, botulism, scurvy and starvation. Terror sits level on the bottom of the sea in about 80 feet of water, its hull intact, and in remarkably good condition with panes of glass still in some of the windows.